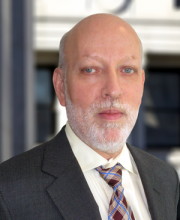 Alan M. Willinger is a partner at Gettry Marcus and is a member of the firm’s Tax Department. His expertise encompasses the areas of individual, partnership and corporate tax law with particular emphasis on planning for closely-held businesses and their owners. His other areas of specialization include real estate taxation, representation before the Internal Revenue Service and State and Local agencies, preparation of ruling requests to the Internal Revenue Service, corporate restructuring and reorganizations, estate planning and business succession planning. Included among his clients are those in the field of envelope manufacturing, securities brokerage, insurance and real estate, in addition to modeling agencies, trade contractors, apparel and other textile producers. Mr. Willinger received his BA from New York University and his JD from Brooklyn Law School. He is admitted to the New York State Bar, U.S. Tax Court and Federal District Court – Eastern District and Southern District, and is a member of the American Bar Association, Section of Taxation, New York State Society of CPA’s, and the American Institute of Certified Public Accountants and is a former arbitrator with the American Arbitration Association. Mr. Willinger is a Board Manager of the 400 Central Park West Condominiums as well as its Treasurer, a role he held for over 20 years. He is the former President and is a current board member of the Manhattan/Bronx Chapter of the New York State Society of CPA’s.